86,000 immigrants living on a fence? What kind of accomodation is this? Do they get to pay a rent? Many people do not quite understand, exactly which is that is done the ICE or the "Immigartián and Rights of Customs Coercián". 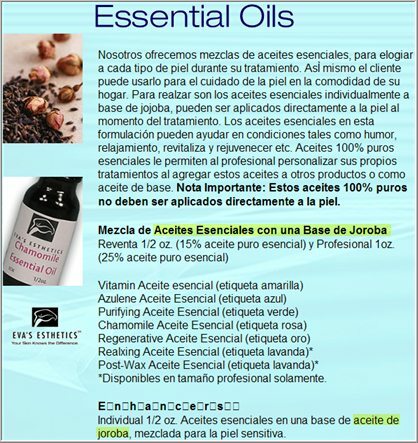 You may already be familiar with essential oils and know that jojoba oil is one of them. But here you get something completely unheard of, a brand new essential oil: the "joroba oil" ("hump oil"). From now on, dromedaries and (especially) camels of the world, beware! You are wanted! Christmas brings you towards the outside in bumps? Not each one is a Christmas wind blower. I for one happen not to be one! For someone the same thought of him brings him towards the outside in a cold sweat - or still an alergic reaction. Some have to be extraordinarily vigilant for chocolate-covered female screws . . . Them evil nuts and bolts! 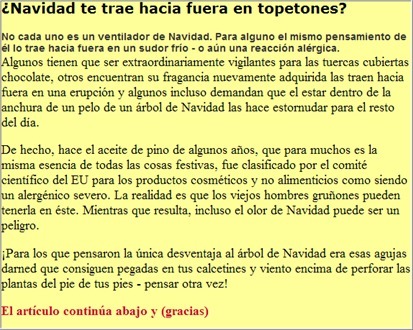 Be very careful with snacks rich in iron during these holidays! Is there so much violence in Indiana University that they need an university police? There are many gems in these few lines, but I have highlighted in yellow the ones I will comment on. It is said that you should always deliver beyond your promises and not the other way around. Well, Worldwide College of Auctioneering (http://www.worldwidecollegeofauctioneering.com/html/bi_lingual_esp.html) gives us a big lesson on how to do this. 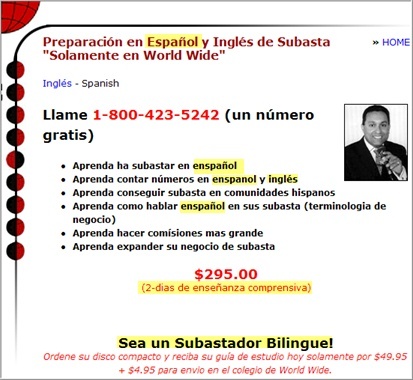 In two days of understanding teaching (enseñanza comprensiva), they promise to turn you into a bilingual auctioneer. But if you pay close attention, they are giving you much more than this! 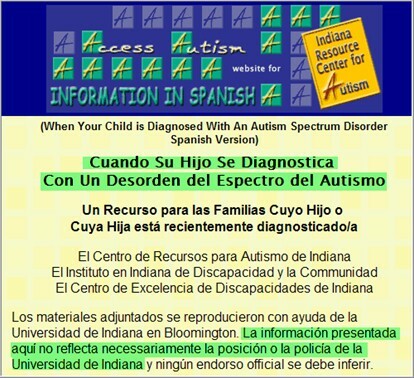 By reading the title and the bullet points, you see that they are actually offering you four languages: español, enspañol, enspanol and inglés (English)! Now that's what I call value for money and a time-effective training!